The Faculty of Biology, Medicine and Health is delighted to welcome back The Linnean Society for the 2018 Irene Manton lecture that will take place 5-7pm on Tuesday, 4 December 2018 at John Rylands Library. The lecture will be delivered by the current President of The Linnean Society, Dr Sandra Knapp at the breath-taking Neo-Gothic surroundings of the University’s historical John Rylands Library. 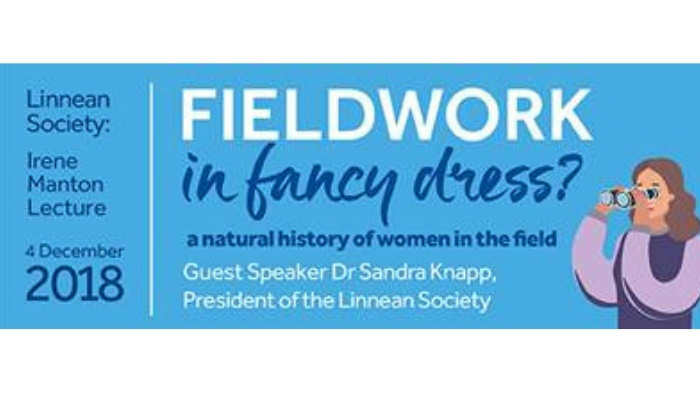 Entitled ‘Fieldwork in Fancy Dress?’ Sandra will highlight the natural history of women in the field, explaining fieldwork’s critical role to understanding and protecting our planet. Now in its fourth year, this lecture is run in partnership with the Linnean Society. It aims to inspire and inform everyone in contemporary biology and botany and the role that women scientists play. The event is open to everyone with sixth form students particularly welcome. This is a free public event and is open to everyone. Please register on Eventbrite by Friday, 23 November. If you have any queries about this event please contact srbmh@manchester.ac.uk.